Everyday we take over 20,000 breaths. What if your floor made your air more pure ? Up to 85% more pure ? As pure as having 3 trees in your home ? Discover Pure Genius, the world’s first smart hardwood floor. 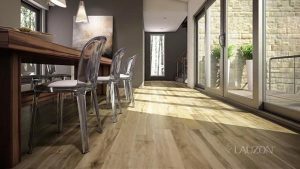 Lauzon latest exclusive innovation is available at Continental Flooring. Pure Genius, for a healthier living space. Naturally. Pure Genius – Did you know?